Cheap and cool: 5 coffee-based masks that will replace expensive salon care. Did you know that coffee is not only a delicious and invigorating drink, but also a wonderful cosmetic? On the basis of coffee beans, you can prepare masks and scrubs for the face and body that will cope with cleansing the skin as well as expensive salon procedures. 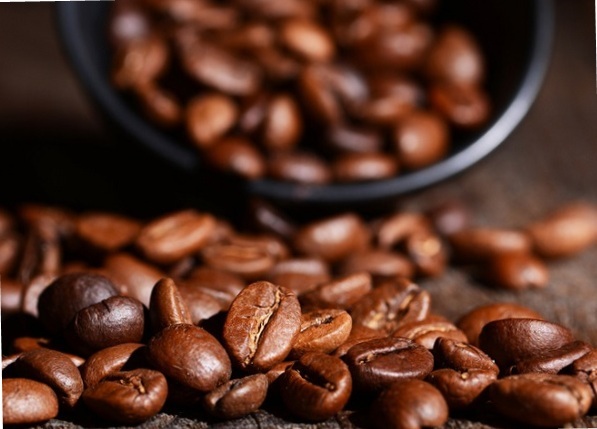 Coffee beans have cleansing and toning properties. And homemade masks based on coffee grounds will help you not only to keep your skin healthy and radiant, but also to turn banal care into a real SPA-procedure. Our selection of 5 simple recipes for masks based on coffee grounds, which you can easily cook at home! To prepare such a mask, it is necessary to combine the vegetable oil and coffee grounds in equal proportions, add a pinch of cinnamon and salt. Apply the mass on the face and neck with massaging movements. After 10 minutes you can rinse with warm water. This mask perfectly cleans pores, prevents acne and acne. Take 1 dessert spoon of coffee grounds and the same amount of sour cream. Add to this mass 5 ml of vegetable oil. Apply the mixture on your face, rinse with cool water after 10 minutes. This mask nourishes the skin and promotes exfoliation of dead cells. Suitable for girls with dry and normal skin. 3 tbsp. l Mix melted honey with 1 tsp. ground coffee. Apply evenly on face. After 25 minutes, rinse the mask with warm water. This mask is a worthy alternative to expensive anti-age agents. Mix in equal proportions 1 tbsp. l ground coffee with green apple pulp. In the resulting mixture, add the pulp of 10 large grapes without seeds, peeled. Apply to skin and hold for 15 minutes. Vitamin charge your skin is provided! Mix 1 tsp. coffee with 1 tbsp. l white or blue clay. Add to the resulting mass of warm boiled water, bring to a creamy state. Apply to face, avoiding eye area! After 20 minutes you can rinse. This mask perfectly helps in the fight against greasy luster and inflammation. Council For oily skin in the composition of the masks is better to use ground coffee, for dry and sensitive — coffee grounds. So you get the maximum effect of the procedure done.